You know what I really need? 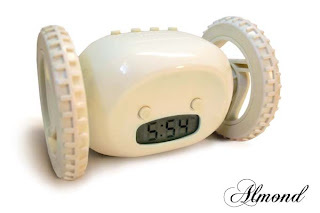 Meet Clocky, the alarm clock that runs away and hides when you don't wake up. You get one chance to wake up, but if you snooze, Clocky jumps off the nightstand and runs away. So Clocky has better run fast.